I need a challenge in life it seems to make my goals to write more and lose weight. Sometimes a challenge can spark drive because you want to live up to it and surpass your goals. 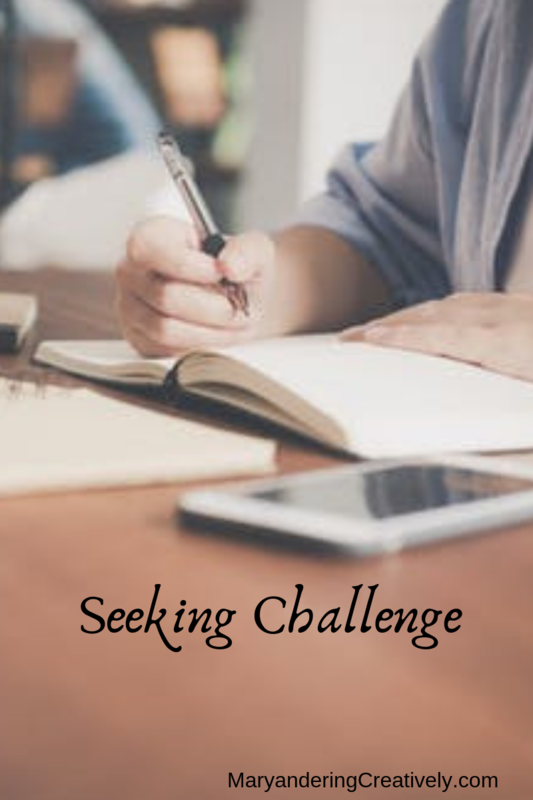 I recently stumbled on a new challenge involving writing 28 days in February. The problem now, however, is I can’t find the blog that is issuing the challenge. Does anyone know? I hope I read the challenge right because I want to join it. Let me know in the comments form if you have hear of it. Thanks. WHAT KIND OF LEERIE ARE YOU? Pam highlights an old career involving lighting city lamps to bring out a beautiful message related to our Christian walk. I enjoyed the word play around “tripping lights fantastic.” Be sure to check out this post. I think we all struggle with these six lies at some points in our lives. What is great about this post is that Tammy takes these six lies and defeats them with truth from scripture. Be sure to read this post. Yes, I found it on Anita’s page, I don’t usually do prompts but I’ll think about it. Maybe, I can fit February post that are there in. Writing every day sounds like a good way to improve my writing skills. Maybe I will do the challenge with you. Thanks for asking the question! I am definitely in! It is on Anita Ojeda’s blog. I have already written the first three days! I hope you will join me. I am tweaking the prompts though for a wintery theme. I’ve done Write 31 Days in October a few times and found it really helpful. February is a much busier month for me so I won’t manage this one but I hope you have fun if you take part. Lesley, I am on it. I have already put the challenge button on my sidebar on the right. I can’t wait. I completed a few days of the prompts. I may change some of them though because I seem to be heading toward wintery themed devotions. Thanks for joining us this week on the #LMMLinkup community. Pretty sure it’s Anita Ojeda who is throwing down the February challenge! Hope you have a great time with it! Thank you MIchele. I am so excited about this challenge. It is the spark that may get me going. I wish we would have challenges every month.